On the 15th of July 2010 we introduced to you the result of our first mouse-development, the EC-series, a series of competitive gaming mice developed in close cooperation with Emil 'HeatoN' Christensen. The EC-series has a special place in our hearts, because it was the first product where we could really show off the result of the hard work and dedication we put into every product. 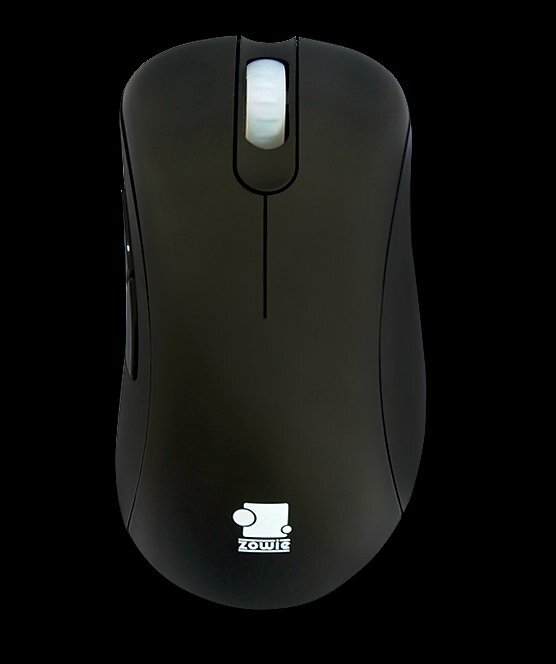 To us the result was not only a great mouse for competitive gaming - it was also a symbol of the passion and ambition ZOWIE GEAR was founded on. The sensor we used in the original EC-series was an older sensor and it has recently been discontinued by its manufacturer, meaning that it is no longer available for us to purchase. This is a shame, but it is not the end of the world, as there is another great alternative - the sensor we are using in the recently released ZOWIE AM mouse, an ambidextrous mouse for competitive gaming, developed in close cooperation with legendary Counter-Strike player Abdisamad 'SpawN' Mohamed. It means that the overall feeling of the two sensors are not perfectly similar, even though both sensors provided the user with flawless tracking. The sensor used in the EC eVo is free of prediction. Prediction is a term widely used in competitive gaming to define if the sensor helps the user even out straight lines. Some like prediction and thinks that it helps them aim, others think that prediction is disabling them from having 100% control of their cursor - so if you are used to the original EC-series, there will be a slight need for adjusting to the way the new sensor works, but it is only a matter of a few intense gaming sessions. Where the shape of the EC eVo will be the same as you know it from the EC1 and EC2, we have made small changes to the overall design. For starters the EC eVo will only be available in a fully rubberized black version, but still in two sizes, EC1 eVo and EC2 eVo. The original EC-series will become unavailable as the stock currently remaining with distributors and retailers are being sold out. The EC eVo will be available in all regions in beginning of April. Weight without cable: EC1, 97g - EC2, 93g.